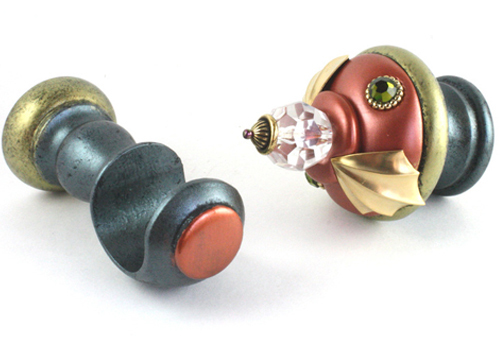 All Susan Goldstick finials can be coordinated with cup brackets in matching color treatments. You can select a rod in gold or silver paint finishes to complement the metal color of the finial. Or opt for a black rod to accent the finial details and paint finish. Curtain rods are available in smooth or reeded and can be purchased in our web store in 4 and 6 ft lengths. For custom sizes and traverse style rods, please contact us.